Did you know that most young adults check their smart phone every 15 minutes? And that Instagram was rated as the worst social platform for its negative impact on our mental health? It’s a scary thought to think that we’re literally scrolling our lives and wellbeing away. I truly believe a change is needed. People need to be more aware on how often they pick up their phone. 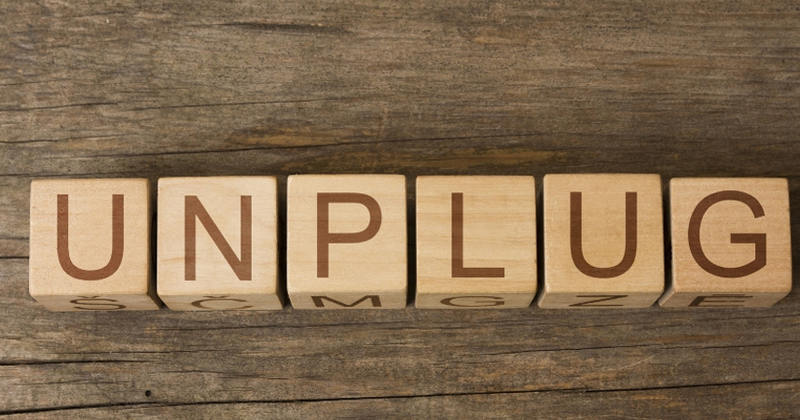 If you wake up with Facebook and get easily distracted from all the tweets, pings and push notifications, it may be time for a digital detox. It has been scientifically proven that refraining from using technology is beneficial for your physical, emotional and mental health. Find out why we should reduce our tech-time and discover 10 reasons to have a digital detox. Tech overload causes anxiety, stress, and generally isn’t very good for your mental health. Push notifications, the need to instantly reply to messages, work emails after hours.. The digital world is increasing our stress levels, and chances are it’ll only get worse. Even if you don’t reply to a notification immediately, the fact that you know it’s waiting for you is a distraction on its own. Embrace a digital detox in the evening or on your weekends and allow yourself to fully unwind and reset. According to a study at Harvard Business School, multi-media tasking lowers our creativity and productivity. If you have less stress, you can concentrate better and your creativity will improve. Stepping away from a project you feel stuck on is the best thing you can do. Go for a walk or meditate for ten minutes. Your mind will clear itself of all the clutter and make space for new thoughts. Before you know it, a lightbulb moment presents itself. A digital detox allows you to slow down, unwind and fully switch off. You can’t give your brain a reboot when you are constantly distracted by email overload. Neither can you recharge yourself when you feel you have to stay ‘in the loop’ all the time. Besides creating general restlessness and telling your brain to ‘stay awake’, the blue wavelengths from your screens can mess with your melatonin production (the sleep hormone). Needless to say this results in less shut-eye. Bedrooms should have a strict ‘no-phones’ policy. Try to use an actual alarm clock instead of your phone, and avoid screen time after 7pm. We usually talk about the effects of mobile phone usage on our mental health. But what about our physical wellbeing? Hunching forward and leaning over your desk, looking down on your phone and too much screen time will have its repercussions. Nobody wants a text neck, a bad back or eye strain. A tech-free period will give your body a well-deserved break. Take it. Let’s be honest. How often do you and your partner/parents/housemate have dinner in front of the TV? Do you sometimes feel ‘too busy’ to listen to their stories and needs? Taking a break from your digital devices will allow you to reconnect with your family and friends (in real life!). Spending more time with loved ones is important for our energy and mood levels. Heavy internet usage has been linked to depression. And stress levels go up when our mobile phone usage increases. Looking at your friend’s perfect life, the constant fear you’re missing out, having less social interaction. All of this has been associated with increased restlessness, anxiety and unhappiness. There is a life to be lived in the real world, so make every moment count. Following on from the point above, a digital detox will make you feel happier. A bold statement, we know! Spending more time online can make you feel socially isolated as you have less connection with real humans. And more interesting, a study at Nottingham Trent University in the UK discovered that one-third of the messages we receive on our phone worsens our mood.. So why are we so eager to receive them?? Taking a digital detox gives you the ability to refocus. With so many pings and notifications, your poor brain probably has 17 ‘tabs’ open at the same time. Multi-tasking is a myth. Rather than completing one task, you end up with 17 unfinished ones. A digital detox allows you to regain mental clarity so you can give each project the attention it deserves. Less time online, more time to do the things you never have ‘time’ for.. Or at least don’t feel rushed when you’re doing them! Read a book, write a book, cuddle your pet, be creative, play a board game, talk to your partner, do yoga, meditate, play a card game, be mindful, start a business, do a study, catch up with a friend, listen to music, walk in the park, bake a cake, daydream about your next holiday, do some painting, pottery, make jewellery…You get the idea. This article has been re-published from Retreat Here. Sabijn Linssen is the Director of Retreat Here, a retreat planning company in Melbourne. Born and raised in The Netherlands, Sab worked and lived in the South of France and London, before finally settling in Australia with her husband. She has more than 15 years of experience in the travel and event industry. Want to take a transformational retreat with Power Living, which counts towards the 500 hour Yoga Teacher Training pathway? Find out more about upcoming retreats here.